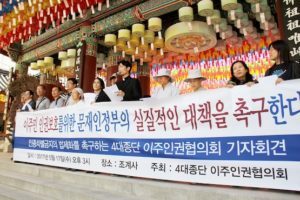 An inter-religious group in Korea has asked the new government to ensure the protection of migrants and ban racial discrimination. Solidarity of Four Religions for the Human Rights of Migrants held a press conference on May 17 in front of Jogye-sa Buddhist temple in Seoul. 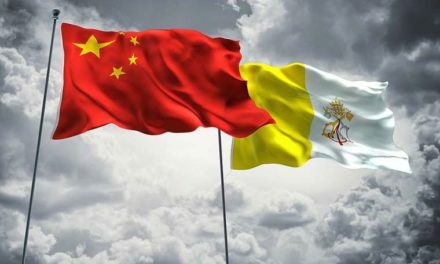 Composed of Buddhists, Catholics, Protestants and Won Buddhists, they have been campaigning against racial discrimination. “Even during the presidential election campaign, the candidates did give any attention to the two million migrants in Korea. 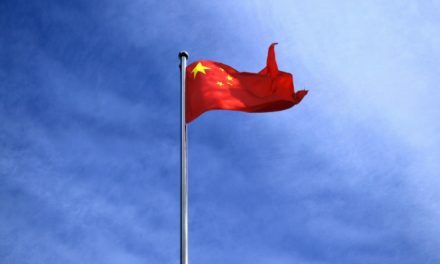 Given that even the basic human rights of migrants are not guaranteed, we should take care of them by establishing concrete policies,” they said in a statement. The group called on people to raise awareness of the problem, report cases of rights infringement and to pray for an improvement in the situation. “Any action based on racial discrimination should be banned and punished,” they added.